LEARN THE LATEST & GREATEST WEDDING LOOKS. Perfect for: Stylists looking to ramp up their special-event hairstyling skills. Allen Ruiz—Aveda’s Global Artistic Director for Hair Styling, two-time North American Hairstylist of the Year, and featured Aveda Congress stage artist—will teach you fashion-forward wedding and event hairstyles and how to achieve them. 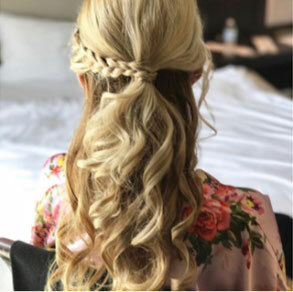 From full updos to half-up half-down looks, learn 5 go-to styles for special events and weddings, and the practices behind designing and executing them. Class covers the perfect consultation; simple textures to put in hair so it holds the style; pinning and planning your work; and strategically adding Vomor Hair Extensions to enhance volume and/ or length. Choose from Look and Learn (half-day demo) or Styling Workshop (full day, demo and hands-on with Allen).